From Wikipedia, the free encyclopedia. 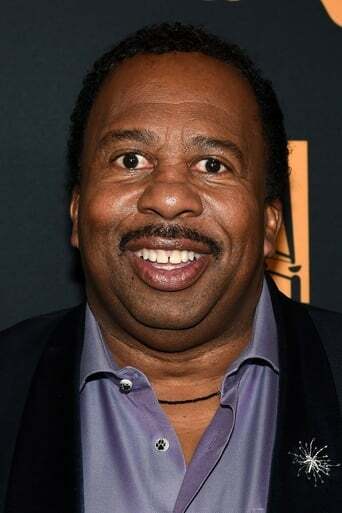 Leslie David Baker (born February 19, 1958) is an American film and television actor. He is known for his portrayal of Stanley Hudson in The Office. He also had several small roles in Scrubs and appeared on That '70s Show as a janitor after a Ted Nugent concert and played an office worker in several of OfficeMax's "Rubberband Man" series of advertisements. He holds a B.S. in Psychology from Loyola University Chicagoand a M.S. Human Services Administration fromSpertus Institute for Jewish Learning and Leadership inChicago. He taught special education, grades K-8, while working on his masters. He was reluctant to move to Hollywood, as he thought it important to first attain financial security. He once played a police officer and a customer in a stereo store in Malcolm in the Middle and a security guard in Action. His favorite episodes of The Office are "Did I Stutter" and "Basketball". In November 2011, Baker released his debut single, "2 Be Simple", with an accompanying music video. Jen Chaney of The Washington Post wrote that the song is "destined to be the party anthem at all your yuletide throwdowns," while Cameron Mathews of Spinnerdescribed the hook as "infectious" and the lyrics as "totally [capturing] the daydreams of a middle-aged man in crisis."